The Ridge is a new residential community located in Courtenay on Vancouver Island, offering stunning mountain and ocean views. The first new home at The Ridge is now under construction in Phase I. The Ridge will be developed in several phases, with the first phase containing 69 lots. Lots at The Ridge range in size from 7,000 to 12,000 square feet. A price list is now available from the developers - lots start at $169,900. This modern, sustainable development will feature 230 single family residential building lots - some with lane access - zoned to allow carriage homes, workshops, and secondary suites. There are also lots for duplexes and patio homes. The Ridge embraces the principals of sustainability, and will have strong architectural guidelines and building schemes to protect property values. Many of the lots in this 77-acre community feature panoramic ocean and mountain views. The community will include an extensive network of walking trails, parklands and open spaces featuring open waterways. It is also directly connected to the Millard Creek Nature Park. While the community has a peaceful rural feeling, it is located very close to the shopping, restaurants and other amenities of the Courtenay and Comox urban centres. The Comox Valley offers an abundance of recreation from hiking and kayaking to championship golf, boating and world class fishing. The Mount Washington Alpine ski facility is only minutes away. The Comox Airport offers direct daily flights to both Vancouver and to the other major Western Canadian cities. The new Vancouver Island real estate development of oceanview patio homes and condos at The Gales, offers residents the opportunity to enjoy an idyllic Vancouver Island lifestyle. This development is located in Ladysmith, a community with year-round outdoor activities and adventures, along with one of Canada's most temperate climates. Inside, these homes offer vaulted ceilings, spacious rooms, and impressive views. You'll also find meticulous high-end finishing and amazing attention to detail. Homes at The Gales are designed and built in West Coast contemporary architectural style and floor plans are open, ideal for entertaining. Warm earth tones through out the homes complement the coastal landscape. Wide sunny decks give you plenty of room for lounging outdoors. Owners at The Gales can enjoy year-round walks on the many local beaches and leisurely strolls through the pristine forest right at your back door. And owners at The Gales can relax, knowing the that their landscaping and yard maintenance are taken care of. One couple told 1stView they are thrilled with their home at The Gales: "We never tire of watching the world go by from our bedroom, kitchen, dining or living room windows. All of these scenes are beautifully framed in large picture windows in rooms with soaring ceilings. The skylight in the kitchen adds to the bright open atmosphere in a great layout." New homes at The Gales are priced from $499,000-$599,000. To experience the views and the homes at The Gales, contact Realtor Keith Mazurenko at Coast Realty today. There is now one Vancouver Island waterfront vacation home at Reef Point Cottages for sale, offering an exceptional Ucluelet real estate investment opportunity. The private waterfront cottage for sale is a two bedroom, two bathroom home with excellent rental revenue opportunities. This low-maintenance 956 square foot cottages is finished with teak, marble and slate flooring; granite countertops; pine wainscotting and ceilings. Cozy up to the fireplace on stormy nights or sit in your private hot tub on the oversized covered deck overlooking nature and onto Spring Cove. Unit 273 is priced at $279,000. This Ucluelet vacation cottage for sale is part of the Reef Point Cottages rental program and the owner is entitled to six months of personal use per year. Cottage owners can also leave their vacation home in the rental program full-time and earn on this hassle free investment. Reef Point Cottages is located near Tofino, and only minutes from Ucluelet’s isolated pocket beaches or the famous Long Beach in Pacific Rim National Park. 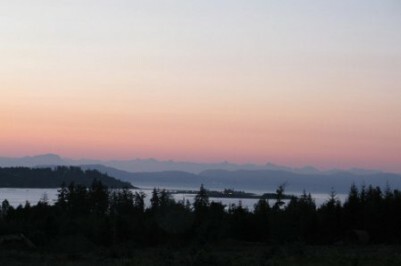 The stunning vistas of the Wild Pacific Trail are on the doorstep of Reef Point Cottages. WesternOne Rentals and Sales in Comox is the region's only authorized Polaris ATV Dealer. During their XP sales event, they are currently offering rebates of up to $1700 on select models and financing as low as 3.99%. Serving Courtenay, Campbell River, Port Alberni, the North Island and the Sunshine Coast. WesternOne is the only place on Vancouver Island to buy Canada’s number one selling ATV. As Northern Vancouver Island's Polaris dealer, WesternOne also has factory trained technicians available for ATV parts, servicing and repairs on your Polaris and Ranger/RZR Utility Vehicles in the Comox Valley. As Vancouver Island’s only Ranger/RZR dealer, WesternOne is committed to providing the same great customer service for their ATV sales and service as they do for their Comox Valley equipment rentals. WesternOne Rentals and Sales - with locations in Comox and now in Courtenay - also rents, sells and services scissor lifts and aerial lifts; generators; air tools; concrete equipment; and forklifts on Vancouver Island. The newest Comox Valley patio home development is now complete. The Railside Lane development at at 1620 Piercy Avenue, Courtenay features 10 new patio homes ranging in price from $249,900 - $269,900. The Courtenay townhomes and duplexes in the development feature three different floor plans, offering two or three bedrooms and ranging in size from about 1,300-1,690 square feet. All of the new homes feature bright, open main floor living spaces with beautifully finished tile and hardwood floors and spacious kitchens and living areas. The master bedrooms feature his-and-hers closets with custom wooden organizers. 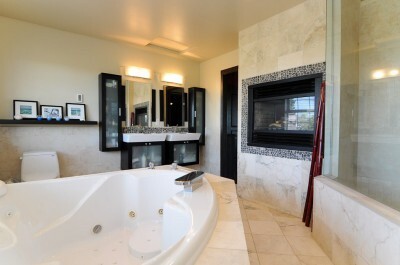 The ensuite offers heated tile floors, and dual shower heads including a rain head shower fixture. These new homes also feature custom lighting fixtures throughout. Railside Lane offers the convenience of strata with the living space of a single family home. These Courtenay patio homes have attached garages and additional driveway parking, and guest parking spots. Tour these Courtenay townhomes during an open house, held Saturdays and Sundays from 1-3. For more information contact Comox Valley Realtor Scott Fraser, PREC, of Royal LePage in the Comox Valley. 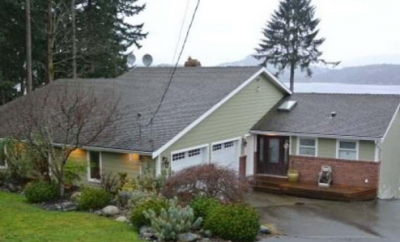 Comox Valley Realtor Tina Vincent is selling a 4 bedroom home on 2.3 acres in Ship's Point, south of Courtenay. This 2,836 square foot home backs onto parkland and is only steps from the ocean. This home is currently listed at $609,000. This top quality Ships Point executive home has main level entry, 9 foot ceilings, lots of hardwood flooring, crown moldings, plus plenty of room for everyone. On the main floor you will find a generous family room and living room, a den/office, plus an amazing gourmet kitchen featuring maple cabinets, beautiful tile back splash and a Jennair stove top and wall oven. Upstairs are four bedrooms, including a 14 x 15 master bedroom boasting French doors, fireplace plus a fantastic four piece ensuite with heated floors and a jetted soaker tub. A generous laundry room and storage area are also upstairs. Make your appointment with Realtor Tina Vincent, PREC, at Royal LePage in the Comox Valley, to view this home at 362 Bates Drive today. You won't be disappointed. When you pull in to the downtown Courtenay parking spot of Canada’s Curtain Corner and Short and Tall Blind Cleaning, you are greeted with colourful flowers everywhere you turn, setting the tone and giving inspiration for colour matching, and telling you this is a window covering showroom unlike any other. Walking through the entrance door confirms it. Greeted with a friendly smile, and a “hello, welcome to our showroom,” puts you at ease and sets up a relaxing shopping experience. Your eye travels across our open concept floor plan, to their blind department with full size displays in various colours and options. As you walk around your senses pick up on the scent of vanilla and sandalwood, and your ears are filled with smooth jazz. 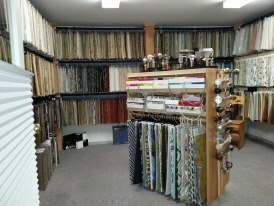 Turn right and you are greeted by the Comox Valley’s most comprehensive collection of 18”x18” designer fabric samples, and books for drapery, upholstery, outdoor furniture and more – wall-to-wall, floor-to-ceiling samples from the best names in the industry. It's the way Interior Designers select fabrics for their clients in all the major cities. Wayne and Audrey Baxter are the owners of Canada’s Curtain Corner and Short and Tall Blind Cleaning. The business is located at the heart of Courtenay’s “Old Orchard” district at 468 3rd Street - the only place on the block zoned commercial, giving you the charm of shopping in a unique heritage district one block away from the downtown. You’ll find ease of parking, extensive window fashions at every price point, backed by 25 years of experience. Wayne and Audrey invite you to stop in and say hello and see for yourself what the world of Window Fashions can offer: Drapery, Bedding, Blinds, Shutters, Awnings, Door Screens, Drapery Hardware, Parts, Repairs, Ultrasonic Blind Cleaning. Some of their suppliers even offer designer furniture! Custom Window Fashions need not be outrageously priced, Canada’s Curtain Corner set you up with a premium faux wood, made in Canada, any size up to 8ft. for as little as $116! Blind cleaning with Short and Tall starts at the low price of $17 for any horizontal blind, 5 feet wide or less. They have always offered FREE in home consultation, where we bring our showroom to you. Canada's Curtain Corner serves all of Vancouver Island, the Gulf Islands and Powell River. Call today, 250.871.7477 for sales, 250.871.7377 for cleaning. 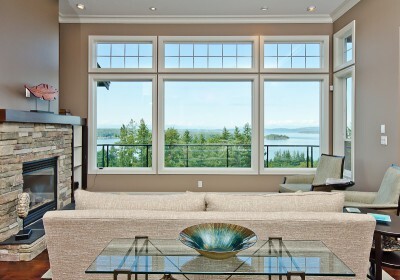 Contractor pricing is available - call to compare Canada Curtain Corner’s Canadian made products. They will meet or beat your current provider. For more inspiration follow Canada's Curtain Corner on Facebook. Courtenay Realtor Scott Fraser, PREC, with Royal LePage in the Comox Valley is selling a new construction rancher-style home at 2629 Kendal Avenue in Coal Valley Estates, Cumberland. More than just your typical rancher, this great package comes complete with a heat pump, detached workshop and easy RV parking. Located on a flat, corner lot in Coal Valley, one of Cumberland's best addresses, this new construction bungalow has 1,466 square feet of well laid out living space, and a detached 280 square foot shop with RV, boat or ATV parking access directly off Egremont Road. This new Cumberland home offers a "great room" open concept living space with a fireplace and features lots of storage. Also, it has a nicely sized master bedroom with a large walk-in closet and ensuite. This home is ready to go with a built in sprinkler system, lawns and fencing. Move in now and enjoy backyard barbecues at your own Comox Valley home this summer. This home is currently listed at $359,900. For more information about this or other real estate options in Courtenay, Comox, and Cumberland, contact Realtor Scott Fraser at Royal LePage in the Comox Valley today. Seahorse Edging, Pathways and Curbs in Campbell River on Vancouver Island provides professional decorative curbing products to enhance your property. The concrete landscape curbing is made on-site from extruded concrete. Seahorse Edging, Pathways and Curbs offers a variety of concrete colors, contour styles and surface designs for your decorative landscape curbing project. Seahorse can create functional and attractive concrete walkways and pathways that deliver a sophisticated look, create low maintenance areas and increase property values for a reasonable cost. Seahorse provides free estimates and consultation. Most concrete curbing and walkway project installations can be completed in one day for both residential and commercial properties. Contact Trish to book an appointment. During the construction phase, building an energy efficient home may seem like an added expense, but you can reap the benefits of lower utility bills immediately. Even if you increase your mortgage to increase the energy efficiency of you home, your monthly bills can still be lower than with less expensive construction options. Vancouver Island's Certified Energy Advisors at Elemental Energy Advisors can guide owner-builders and Vancouver Island new home builders through the process. In addition, they can help you achieve an EnerGuide rating for your home that earn rebates of $2,000 or more building an energy efficient home. Elemental Energy Advisors can work with builders to review house plans before construction to suggest ways to build a more energy efficient home, and can review heating and hot water options. They provide a projected EnerGuide rating for a home, and complete a building envelope test once the home is complete. A typical new home will qualify for the minimum rating of EnerGuide 80, required for the incentives. Get an EnerGuide rating for your new Vancouver Island home, save money on energy costs and put money back in your pocket with help from Elemental Energy Advisors' Certified Energy Advisors, Cristi & Kate. Let them do the work and put money back in your pocket, with energy efficiency incentives and immediate savings in your utility costs. Building energy efficient saves you money now and adds value to your home the day you decide to sell. Residents of Stone Manor Estates enjoy the natural beauty of the Cowichan Valley, along with the convenience of city living and its close proximity to lakes, marinas, recreational activities, and the shopping, community services and activities in Duncan. Developer Lamont Land has dedicated more than three years to bring this project to market. From architecturally coordinated streetscapes to a steadfast commitment to environmental stewardship, great care is taken to ensure that no detail is overlooked in Stone Manor Estates. The Cowichan Valley offers a unique, mild micro-climate - Canada's only Maritime Mediterranean climatic zone - resulting in the warmest mean year round temperature anywhere in Canada. 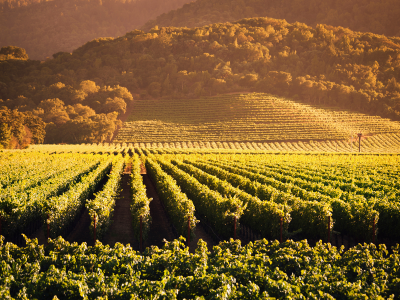 This setting has allowed the establishment of more than 20 wineries in the area. The Cowichan Valley is also well known for its artisanal food producers, organic produce and slow-food chefs. The Sales Presentation Centre at Stone Manor Estates is now open Saturdays and Sundays from 12-4 p.m. or call 250.597.1952. Stop by this weekend and find out today what many others are already discovering about this new residential community. Campbell River Realtor Jenna Nichol has a new listing for a stunning Vancouver Island oceanfront home overlooking Seymour Narrows. Located at 5462 Race Point Road in Campbell River, this 2,470 sq. ft. 3 bedrooom, 4 bathroom home also offers a charming one-bedroom, one-bathroom cabin by the water – perfect for guests or summer barbeques. The heated driveway leads to a three (or more) car garage, complete with mechanic's pit and a three piece bathroom for cleaning up. Enjoy these incredible views everyday from your own Campbell River waterfront home, listed at $789,000. Contact Campbell River Real Estate Agent Jenna Nichol at Coast Realty today to tour this home, or learn more about buying or selling your home. Are you tight on space but still need a comfortable, elegant guest bedroom in your home? Murphy Beds, also known as wall beds, are an economical way to instantly transform a second room into a chic office or an extra bedroom. Courtenay-based Inspired Spaces By Harbour Kitchens & More Inc. is the only authorized Murphy Bed dealer for Mid and North Vancouver Island. Inspired Spaces specializes in kitchens, millwork and Murphy beds on Vancouver Island. When designing the space for your new Murphy Bed, you can choose from Inspired Spaces' standard models or work with one of their designers to create a custom wall bed with built-ins like cabinets, molding, and finishes to suit your decor. 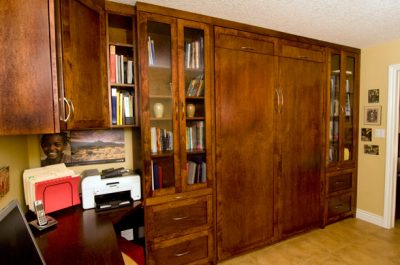 Inspired Spaces & More has the experience and expertise to take your Murphy Bed to the next level, creating a practical and attractive space saver. Inspired Spaces by Harbour Kitchens & More is an established Comox Valley millwright company with many years of experience in manufacturing of entertainment units, fireplace mantels, commercial offices and customized furniture pieces. Contact Inspired Spaces today at 250.898.9670 and start creating your own inspiring space. 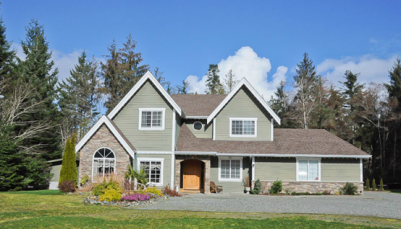 An Open House is being held this Saturday, March 16, 2013 from 1-2 pm at this Vancouver Island golf course home at Crown Isle, located on one of the prime fairway lots in this prestigious real estate development. The 2,090 sq ft., 3-bedroom home overlooks the 10th fairway from a private, beautifully landscaped yard. View a virtual tour of this executive Courtenay home for sale here. This custom home, set on a quite cul-de-sac, has been renovated with luxury in mind. Heated slate and marble floors, solid walnut hardwood flooring, gas fireplaces with Italian glass tile accents, and a designer colour scheme create an ideal home for entertaining. 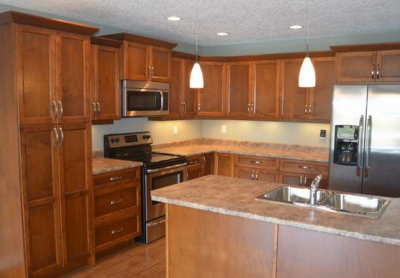 The open kitchen and family room has views out to the large backyard and the Crown Isle golf course. With storage galore, the large kitchen offers a wet bar with a wine cooler, and stainless steel appliances. Downstairs also features a formal dining room, sunken living room, and home office. When its time to escape, the spa-like 5 piece ensuite offers a luxury walk in shower and double jetted soaker tub. A two-sided fireplace, his and hers closets and a Juliet balcony complete the large master suite. Two more bedrooms and a large, bright 3-piece bathroom round out the 2nd floor. Outside offers a peaceful oasis in a mature garden, divided from the golf course by a stand of birch trees. The private patios and covered front porch offer spots to relax in the sun and shade, with views and privacy. The wiring for an outdoor spa is already in place. Stop by and tour this home in person on Saturday from 1-2 p.m. This home is listed for sale at $549,999, by Realtor Scott Fraser, PREC, of Royal Le Page in the Comox Valley. For Sound Security call the experts. Sound Security in the Comox Valley offers home and business security systems and much more. Sound Security’s expert installation team provide surveillance cameras, sound system equipment and wiring, home theatre installations, and multi-room music systems. They can install media panels and offer new home installation packages. 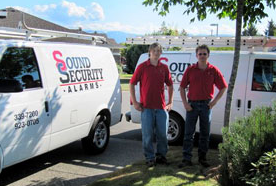 As the only provider of screen alarms on Vancouver Island, Sound Security can offer a security alarm option that will keep intruders out but let fresh air in. They will install, service and monitor security systems to protect your home, family or business. Workplace injuries are not always immediately apparent, especially in cases of exposure to dangerous materials or chemicals. Following Workplace Hazardous Materials Information System and MSDS Personal Protective Equipment Requirements on the material safety data sheets, is the best way to ensure your long term health, reminds Alana Gow of Double A Safety Services on Vancouver Island. "Exposure to asbestos is the main cause of mesothelioma. Asbestos fibres are very fine and if you breathe them in, they can make their way deep into the smallest airways of your lungs. Once lodged deep in the lungs, the fibres do not escape when you breathe out and can’t be coughed out. The fibres sometimes make their way through the lung and settle in the pleura. This can cause pleural mesothelioma or other lung diseases, such as asbestosis. The fine asbestos fibres can also be swallowed and settle in the digestive system. From there, they can move into the peritoneum, causing peritoneal mesothelioma. You can be exposed to asbestos either directly, by working with asbestos, or living or working where asbestos was released from building materials or other asbestos products or indirectly, living with an asbestos worker and being exposed to the asbestos dust that is brought home on clothing and hair. Mesothelioma may not appear until 15 to 40 years after exposure to asbestos. Some people develop mesothelioma without knowing they’ve been exposed to asbestos." Following proper workplace safety procedures can help keep you safe today and in the future. Employers or employees looking for help in reviewing or developing safety plans for their workplace can contact Double A Safety Services on Vancouver Island. Double A Safety provides safety training, evaluation, development, safety documentation and due diligence procedures. Courtenay Realtor Art Meyers offers the top 10 reasons to buy a home at the riverfront new home development The Ridge at RiversEdge in Courtenay. 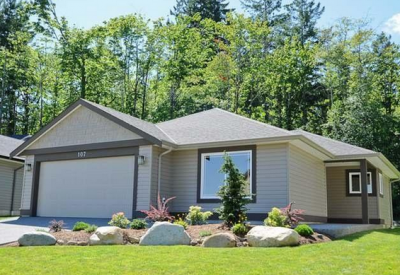 Location, Location, Location – second to none on the southwest side of the Puntledge River. The Ridge at RiversEdge is unique. Southwind Developments Corporation is the only company in the Comox Valley that controls their entire development and building process from start to finish. Projects they undertake-they buy the raw land; they service it; they build the homes and they warranty each home for 10 years. You know precisely what your neighbourhood will look like. That’s the secret to Southwind’s success. The Ridge is a preplanned single family neighbourhood on private property on a no-thru street where all homes are single level ranchers, so no two-storey homes looking down on your property. Green Space. You are surrounded by nature at its finest. Just a few steps to the beautiful walking & biking trails along the spectacular Arden Greenway, the Puntledge River and Puntledge Park. You will never have a neighbour in your back yard. Your investment is protected by a sensible registered Homeowner Schedule of Restrictions that is designed to enhance the quality of life & increase the future value of your home. Our target market (but not restricted) to adults 45 years and older to provide a quality neighbourhood where people can truly enjoy a quiet lifestyle. The Ridge at RiversEdge is private property consisting of 24 homes with the street & street lights being the only common area. This bareland strata covers Robert Lang Drive only, with its boundaries. You own your own home and property. The owners of Southwind Homes reside at RiversEdge. They live in the neighbourhood so you can feel secure knowing that they will be here for all and any issues on the 10 year warranty on all homes at The Ridge. The Price. Southwind Homes at The Ridge at RiversEdge are the lowest priced new homes anywhere in the Comox Valley. Considering the quality of workmanship and materials, Southwind provides the very best products for your money. Your RiversEdge Specialist is Realtor Art Meyers-Royal of LePage In the Comox Valley. Call him today at 250.207.1879. 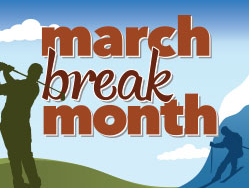 Crown Isle Resort and Golf Community is offering a a variety of options to enjoy your spring break, including unlimited golf packages, and Mount Washington ski packages. Their Stay & Play Unlimited package includes 1 day of unlimited golf for two with a shared cart, accommodation in a deluxe fairway room and two $15 breakfast vouchers for only $124.50 per person, based on double occupancy. The Crown Isle Stay and Ski package includes accommodation in a deluxe fairway room, two adult lift passes and two $15 breakfast vouchers, for only $127 per person, based on double occupancy. Great spring break activities are only part of what Crown Isle has to offer. This growing, upscale golf community is a busy place for real estate, with a number of new residential lots for sale, new homes under construction and a selection of patio homes, condos, and fairway homes for sale. Come for a tee time and stay for a lifetime at Crown Isle Resort and Golf Community. Set in a stunning location in the city of Courtenay, overlooking the Comox Valley, is one remaining residential lot for sale on Trumpeter Crescent. 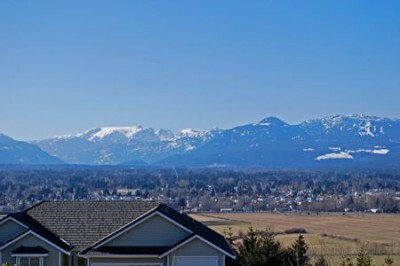 This ideal spot for a new Vancouver Island home offers spectacular views of the Comox Glacier, the Beaufort Mountains and Valley. This last available home site on Trumpeter Crescent is located within a well-established neighbourhood that contains both executive and west-coast style homes. Centrally located on the east side of Courtenay, Trumpeter Crescent is only minutes away from recreational facilities, schools, North Island College, Comox Valley Aquatic Centre, Crown Isle Golf Course, the Comox Valley Airport, as well as beaches, rivers and parks. There is one premium lot still available for $375,000. Outlook Land Design Inc. is currently working on a number of significant Comox Valley and Vancouver Island projects, including taking on the role of Landscape Architect for the proposed Mission Professional Centre at 2525 Mission Road in Courtenay. City Council granted final reading for the Mission Professional Centre for an Official Community Plan Amendment and for rezoning for a new medical and wellness facility next to the new Comox Valley Hospital site. The project will include two, four-storey buildings that could provide more than 58,000 square feet of space supported by 183 parking stalls. A development permit application is also expected to be considered by council by the end of March. Outlook Land Design is also working as the Landscape Architect for nearby North Island College, as part of the North Island Hospitals project. Outlook Land Design Inc. is a Comox Valley civil engineering and landscape architecture consulting firm, which has been serving Vancouver Island since 1999. Firm principal, Tim O’Brien, P.Eng. MBCSLA, is both a professional civil engineer and registered landscape architect with more than 25 years of design and construction experience. Outlook Land Design Inc. provides civil engineering (municipal engineering) services including: specifying, designing and constructing streets, parking lots, sidewalks, water supply networks, sewers, street lighting, public parks and bicycle paths. Outlook Land Design Inc.'s landscape architecture solutions include the design of outdoor and public spaces. Past clients include provincial and municipal parks, schools and college campuses, resorts, multi-family housing projects, and institutions. The scope of their work includes: urban design; site planning; town or urban planning; environmental restoration; parks and recreation planning; visual resource management; and green infrastructure planning. Nanaimo's AA Mini Storage is currently offering a buy one month, get one month free for any self storage unit rentals. This is a great savings option for VIU students looking to store their furniture over the summer. 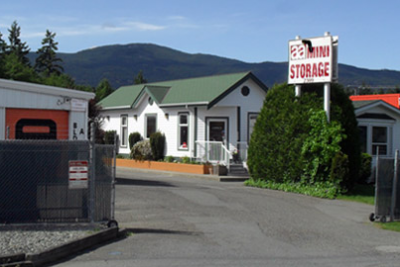 Nanaimo's AA Mini Storage features a variety of self storage options for businesses and households, including vehicle, boat and RV storage, heated units and drive-up storage units. AA Mini Storage offers multiple levels of security, with video surveillance, gated access, and helpful, friendly resident managers on site. AA Mini Storage offers convenience as well. The units are available 7 days a week and with drive-up doors available on 10x10x10 units and larger, your storage locker is always easily accessible. These Nanaimo self storage rental units range from 5x5x5 to 20x30, perfect for everything from an office, dorm room, up to an entire household or business. Contact AA Mini Storage in Nanaimo at 250.758.7442. 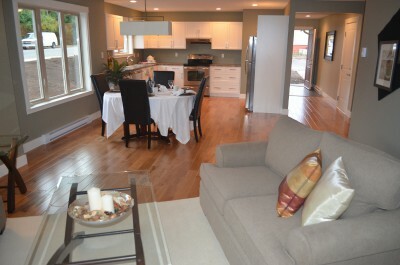 At Woodcote Mews in Courtenay you can now own your own new three-bedroom Comox Valley home for well under $200,000. Prices of the final few remaining units at the Woodcote Mews townhome development have been lowered to only $189,900. These new homes also offer the opportunity to choose your own paint colours and finishes, and move into your new three-bedroom Comox Valley home within a month. Fifteen of these 1,320 square foot duplex homes at Woodcote Mews on Cumberland Road have already been sold. The remaining five townhomes are complete to lock-up, and will be finished to the buyer's specifications and and move-in ready within a month. The developer will complete the interiors of the units based on the new owners selected colour schemes. These new Vancouver Island duplex homes feature a spacious layout, with three bedrooms and two bathrooms. Each home is finished with a quality appliance package with refrigerator, stove, dishwasher, washer and dryer. 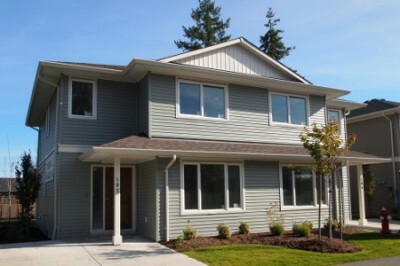 An open house is held every Saturday from 11-12:30, so stop in to tour your new Courtenay townhome. For more information, contact Realtor Scott Fraser at Royal LePage in the Comox Valley. Serving the Comox Valley & Vancouver Island for over 10 years, the expert electricians at Tilley Electrical Contracting Inc. specialize in controls, communications and residential and commercial wiring. They also offer 24 hour emergency electrician service in the Comox Valley. Tilley Electrical specialties includes residential and commercial wiring, light industrial, renovations, and new construction. Free estimates are always available. Choosing Tilley Electrical Contracting for any of your electrical contracting jobs means you'll recieve punctual, quality service, knowledgeable electrical technicians and reasonable rates. Their commitment is to provide quality service and dependability to their customers at competitive prices. Call Tilley Electrical at 250.331.1844 for 24 hour emergency service or to schedule an appointment.